Heidi Tanada signed a contract with Home Depot in October. Her roof was supposed to be repaired by December. But by April, no work had been done and materials for the repair had been left on top of her "structurally dangerous" roof. The threat of dangerous winds and some serious rainfall this weekend is a major concern for everyone. But for a Portland-area woman with a roof in need of repair, a bit more so. Experts said her roof was "structurally dangerous" and to make matters worse, she signed a contract with Home Depot and paid for a new roof, back in October. But to this day, no one's ever done the work. Her name is Heidi Tanada. She’s 72 years old and a retired Marine. And she's still waiting for Home Depot to put a new roof on her house. 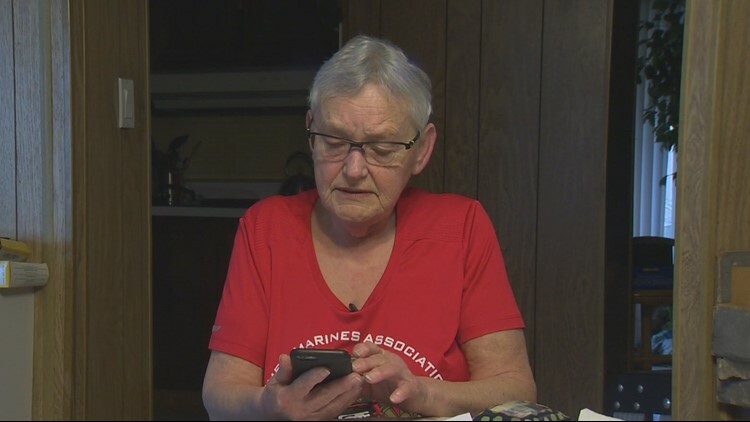 She says she's followed the terms of the contract she signed, and even paid for it, while waiting for the work to get started. “Well, we were having trouble with the roof leaking. I called Home Depot and they sent out this Mr. Richardson and he said we could do it, gave me a price," Tanada said. The price was $7,709, plus interest. Tanada agreed to it, and signed a contract with Home Depot. That was in October 2017. The actual start date on the contract was a few weeks later, starting Dec. 10 and finishing with a brand new roof by Dec. 20. But then, Tanada said, the excuses started coming faster than you can say "more saving, more doing." But the work never began. Someone did put a bunch of materials on top of her leaking roof, and those materials have sat there ever since. A bunch of plywood was also dumped in her driveway, with no explanation. But still, no work was ever done. But delay after delay, Tanada said she remained hopeful. It's now April. Six months after she signed a contract with Home Depot. And when KGW went to Tanada's home this week, no work had been done. Stephen Mayer is the marketplace director for the Better Business Bureau. He says it’s always best for consumers to get everything in writing, and do some additional homework. Home Depot doesn't actually do the work, they use subcontractors. They call them service providers. “Do your research on "that" company, do they have any reviews, do they have any complaints, are they one of our accredited businesses," Mayer advised. Home Depot customer Tara Fallon said she's not surprised. She told us she ordered windows through Home Depot a year ago and there was a problem right out of the gate. “We were told they would be reordered, and we made another install for August 23, and no one showed up, no one called," Fallon remembered. Despite no work getting done for six months, Tanada said she's diligently paid Home Depot. She financed the work, and paid thousands of dollars over the past six months. A lot of it, in interest. So KGW reached out to Home Depot, first in Sherwood where Tanada originally entered into the contract, and then to a pair of regional managers. We were finally contacted by someone from the corporate headquarters in Atlanta. That was news to Tanada. 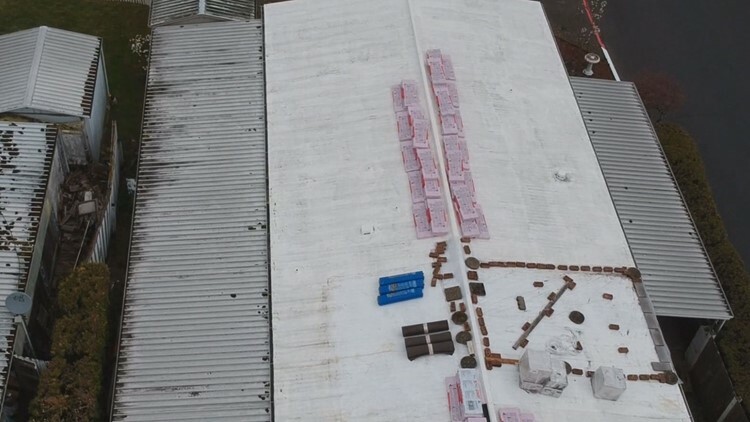 And it also begged the question: If Home Depot is citing existing damage, and "structural concerns about the integrity of the roof" so bad, it would jeopardize the safety of work crews, then why would they put all this material on her roof, and leave it all there for months. KGW heard back from Home Depot’s corporate office, who looked into this for several days and they sent us a statement, reading, "We sincerely apologize to Ms. Tanada for the delays. This is not the customer experience we aim to provide, so we're going to find a way to make this right." And make it right they did. Home Depot refunded all of Tanada’s money, and are now in the process of scheduling "another" service provider to inspect her roof. They want to get a better idea of "exactly" what needs to be done. A representative from Home Depot was at Tanada’s house again and the materials are being taken off her roof. Finally, after refunding all of Tanada's money, Home Depot decided to have a construction crew who specializes in the specific work needed, do the work. And Home Depot agreed to help pay the cost of Tanada's new roof, to the tune of her original quote, $7,709.